Are you looking for some creative ways to decorate your home and make it more beautiful? If yes, then DIY crafts ideas are the best way to do this. Because they are cheap and less time-consuming. The home keeps too much importance in everyone’s life. And of course, everyone wants to make it more and more charming and awesome. But due to some financial problems and lack of earning reasons everyone cannot make his home a dreamland. Because the decorative things and items have been too much expensive nowadays. But DIY crafts and projects make our life easier and our home decorative. They teach us how we can repurpose old things and give them a new life. We can make our home awesome without breaking our bank by following these DIY crafts and projects. Repurposing and recycling are the main sources to get new things from old items and stuff. Such as you can create a beautiful and charming flower vase by recycling the Mason jar, infect Mason jar can be recycled for many other purposes. A message board can be created by old wooden pallets and a creative key chain can be made from useless wine corks. The possibilities to make DIY crafts are endless that I cannot mention in just one post. But I tried to show you some of the best DIY crafts ideas that will really beautify your home and make it decorative. 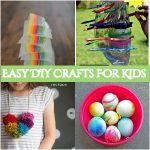 I have shown you an interesting list of DIY crafts below that will really inspire you. Some of them are quite easy and some take a little bit extra time to build but all of them are amazing. So, let’s have a glance at the following list and draw some inspiration. I hope you will love all of these ideas and would love to try them out at your own home. 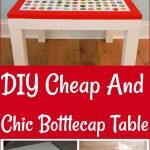 The best thing about these DIY crafts which I have already mentioned that you would not have to spend a little money on preparing them. 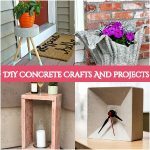 So, please scroll down to get ideas on brilliant DIY crafts to make your home decor. If you have an empty wall in your home then you can decorate it by hanging a clipboard. You can show your things by hanging on it such as a photo. Pallet plaques have been used to hang the photos, notes, and so many other things. This pellet plaque is made from recycling the old material. It has been made to give a rustic look to your home. Do you know how to make a beautiful coaster from old wooden sticks? You can make a beautiful coaster with this project. The wooden pallet coaster can enhance the beauty of your kitchen. The small pieces of the wooden sticks are attached to each other with the glue. The sticks are designed with colorful tape. It is just like a fun and you can easily make a four-set of wooden pallet coaster. Through this project, you can be reshaped the old wooden pellet and give them new life. If you are worried about carrying some important thing with you when you are going for an outing. Then you can try this project. You can carry your important small thing in this pouch. You have no money but you want a small pouch. 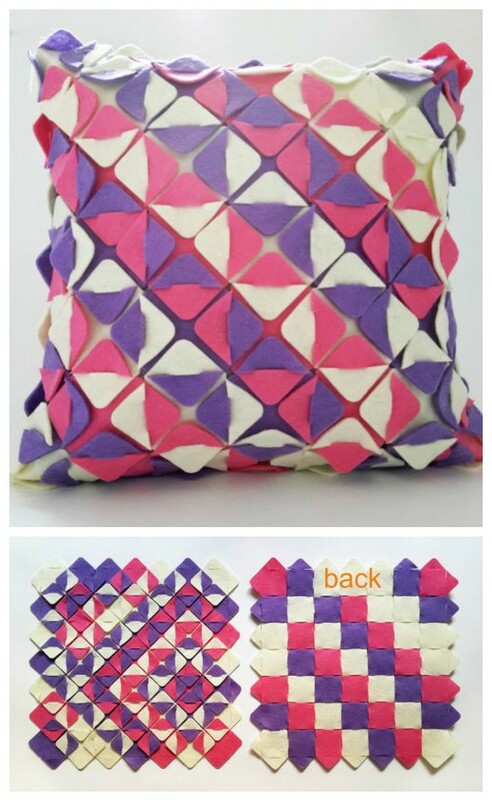 By this idea, you can make a triangle pouch in your home. This pouch is made from handkerchief size fabric. If you want to give a special and beautiful gift. Then you can make a pencil coaster. It is a very cool idea and you can try this idea in your home. The pencil coaster is very colorful that is presenting a charming look. You just have to cut the pencils of different color into small pieces then place them on to the cork disk. Every person loves this cute bookmarks.you can make it with small effort. It is very easy and you can find the material easily at your home which is used to make this bookmarks. If you are worried about giving the gift on the special event to someone then you can try his idea. This is a very fabulous and charming idea. For this project, you need yarn and scissors to make an amazing yarn bookmark. You can give this bookmark to your book warm friends. Do you know there are a hundred of ways to recycled the wine cork? This is the best idea to repurpose the wine cork.you can give it as a gift to your loved person on a great event. Through this project, you can make a DIY wine cork key chain which is looking very amazing. The keychain is made by putting the screw eyes in the wine cork. It is looking very stylish and charming. You can convert the old and useless wooden planks into a cutting board. You can use these boards for cutting the different things on it. By this project, you can make a stylish cutting sill that will be helped you to organize your kitchen. The kitchen is looking elegant by this idea. You cannot only decorate the inner part of the home but also can be decorated the outdoor places. By this project, you can decorate the front door of the home. The mason jar is recycled into a beautiful vase. The mason jar is attached to the chalkboard and drawn a welcome on this board. By this beautiful mason jar vase, You can welcome any person comes in the house. The vase jar is hanging with the front door of the home. If you want to give a new life to old things in the kitchen. Then you can be worked on this idea. The old cups that looks very bad you can turn them in new shape. These new shaped cups will look very beautiful and increase the beauty of a home. You will be inspired by this post. The cups are repurposed with the painting of nail polish. It is an amazing project to make your kitchen elegant. Home decoration has become an important thing in our life nowadays. Every person wants to decorate his home and make it stylish. you can decorate your home and change the look of it by this idea. You can make beautiful candlesticks by repurposing the old material. The old wooden screws have been used to make the candlesticks. These candlesticks help to enhance the beauty of a home and present an amazing scene. By this project, you can brighten up your home. You can make the home amazing and attractive with this beautiful mason jar vase. This vase can be made by recycling the old items. you can easily find the old material in your home. So, no money is required for this idea. The old mason jar is painted with blue paint. Then drawn small beautiful Daisy flowers on it. you can bring a new look into your home and can enhance the beauty of any place by this project. You can put it anywhere where you want to. It is one of the really wonderful ideas to brighten up your home. You can give a rustic look to your wall by this project and make your home beautiful and amazing. The jar can be converted into lanterns. The jars are filled with the rocks and a candle is put into it. The mason jars are attached with the wood pellets with the hooks. It does not only enhance the beauty of the home but also make your home attractive. If you want to organize your home in a creative style. Then you can try this idea. It will help you to organize your home and make it elegant. The empty space of the wall in your home can be covered by the message board. The message board is used to hang and convey the message. You can hang your important paper without the fear of getting them lost. By this project, you can give a vintage touch to your home. You can enhance the beauty of the home by making this vase. By this idea, we can make our home beautiful and attractive. The preparation of the vase is very simple and less time-consumer. The Q tips are poked in the Styrofoam ball and then painted. You can also enjoy by trying this project. It is very easy to create at home. The material for this project is easy to find in your home. 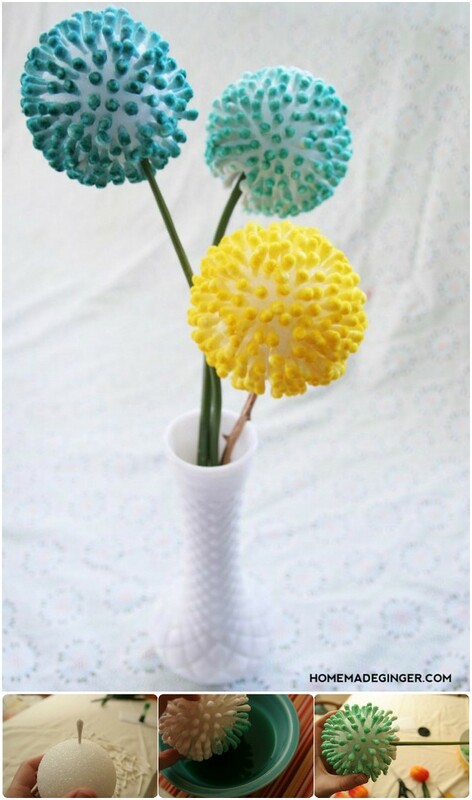 You can give a new look to your home by this Q tip flower.